Home Saine, Thomas P. , editor. Goethe Yearbook. Volume VI. Saine, Thomas P. , editor. Title: Goethe Yearbook. Volume VI. Publisher: Columbia, SC: Camden House, (c.1992). First edition, so stated. 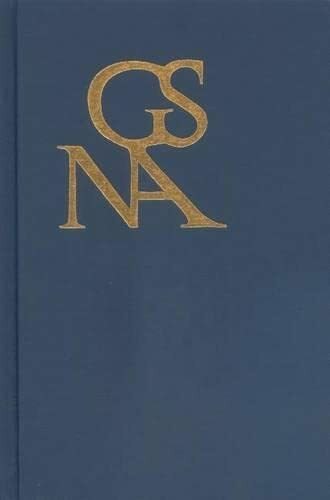 The Goethe Yearbook is a publication of the Goethe Society of North America, which was founded in 1980 to promote the study of Goethe and his contemporaries. Originally conceived as a vehicle for Goethe criticism in English during the Cold War political tensions, when the most prestigious Goethe publication, the Goethe Jahrbuch, was not available to most Western scholars, the Yearbook subsequently gained the respect of the international community, and has published articles, in both English and German, by scholars from around the world; it is unique among other periodicals devoted to the 'Goethezeit' for its extensive book review section. I have a collection of unique books in my bookstore which should be of interest to all. It is arranged y subject and shelved accordingly. You will find quite a number of very unusual items with very good prices. I look forward to your participation. Check or money order. No credit cards.